At Honeysuckle Dental we promote the importance of providing our patients with all the information and care they need in order to help ease the dental pain. At our relaxing dental suite on Honeysuckle Drive, Newcastle, we offer compassionate dental care, partnered with knowledgeable dental advice, to help our patients manage dental pain effectively before we can eliminate it. 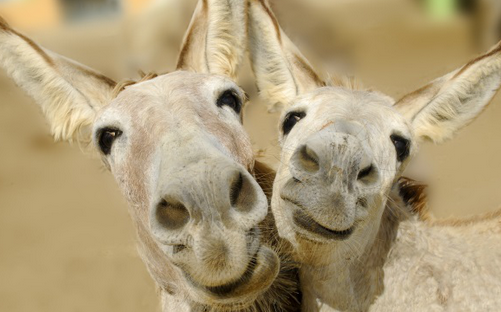 Did you know in medieval times people were encouraged to kiss a donkey in order to cure toothaches? While we do not encourage kissing any kind of livestock, the team at Honeysuckle Dental do offer a comprehensive range of treatment options to help eliminate tooth pain at the source of the problem. We provide the full spectrum of dental treatments to correct these concerns, as well as a comprehensive range of pain management options. We will explore these options with you once we have identified the specific cause of your dental pain. If you are experiencing persistent moderate to the severe pain we encourage you to book an emergency appointment (CONTACT US). In the meantime, we want to provide you with some helpful tips for managing and identifying the source of dental pain. Do you have a sore tooth? A toothache can be identified by a dull and consistent ache in the tooth, as well as sporadic sharp pain. Often this pain is coming from deep-seated decay that has potentially been developing for quite some time. Often a toothache can be easily corrected, depending on your particular degree of decay. The most likely outcome is that our dental professionals will remove the decay and fill the tooth with a durable white filling. This process can be completed relatively quickly in order to remove your discomfort efficiently. During your initial appointment, our dental professionals will assess the cause of your toothache and create a treatment plan in order to help ease your dental pain. If you are experiencing a toothache it is important to let our dental professionals know as soon as possible. By attending your six monthly general check-ups you can help to safeguard yourself against tooth decay before it even develops. Do you have sore or bleeding gums? Nevertheless sore or bleeding gums can be both painful and damaging to your overall oral and general health. The signs of blood or discomfort in the gums indicate that you have gum disease, which can be in the form of gingivitis (for more mild instances of gum disease) through to periodontitis (severe gum disease). Our dental professionals can treat gum disease, however, the severity of the disease will dictate the results of the treatment. Minor forms of gum disease can often be corrected with a stringent dental hygiene routine, as well as regular dental check-ups to remove the tartar that builds up. Tartar cannot be removed by simple brushing alone and must be removed by a dental professional. The use of our innovative dental lasers has allowed us to also address periodontal concerns virtually painlessly and with pinpoint accuracy. Additionally, our dental lasers have also meant that we are able to minimise any discomfort felt by our patients and also reduce the treatment time that will be required. Do you have a damaged or cracked tooth? A damaged or cracked tooth has the potential to be very painful and cause extensive discomfort. In severe cases, the tooth’s pulp can become exposed. The pulp contains the nerve endings, and thus in instances where it is exposed or when decay reaches it, it can be very uncomfortable. If you have a damaged or cracked tooth it is important to book an appointment with our dental professionals as soon as possible. We can help minimise dental pain by administering the adequate pain management control. After we have assessed the damage we can discuss with you whether you require a dental crown. By sealing the damage to the tooth we can help to eventually eliminate the discomfort. With our virtually pain-free dentistry, we can ensure you are comfortable and relaxed as we strive to eliminate your dental pain. If you are experiencing dental pain please do not hesitate to contact the dental professionals at Honeysuckle Dental on Honeysuckle Drive in Newcastle.